The continents are moving, along with the sea floor, at about 2 inches/year. They don't travel very far over a human life span, but the distance adds up over millions of years. 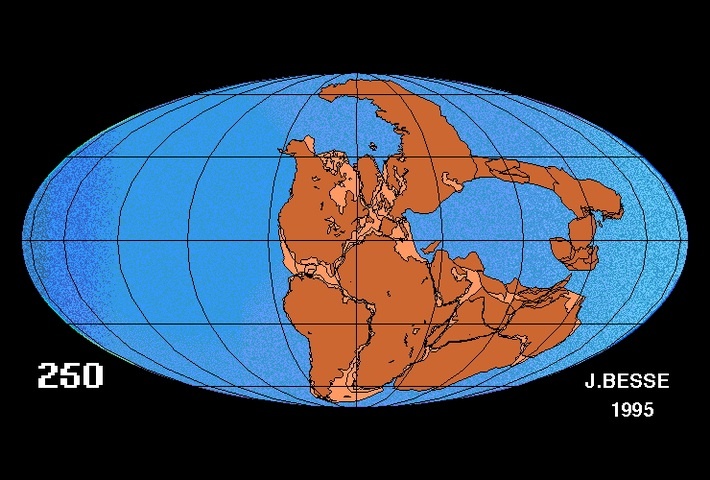 This animation shows the movement of the continents over the past 250 million years. It starts when dinosaurs roamed the earth. At that time, the continents were all together, forming one land mass called Pangaea. Over the next 250 million years, the land mass broke apart and the pieces travelled to their current positions. Note the speed India travels toward Asia about 60 million years ago. The resulting collision, which continues to this day, built the Himalayas.